There’s something calming and comforting about wrapping your hands around a warm cup of herbal tea, especially chai tea. I used to get chai tea and chai tea lattes from Starbucks this time of year, but my recipe assignment last week for the culinary nutrition program I’m taking gave me a chance to make it myself! 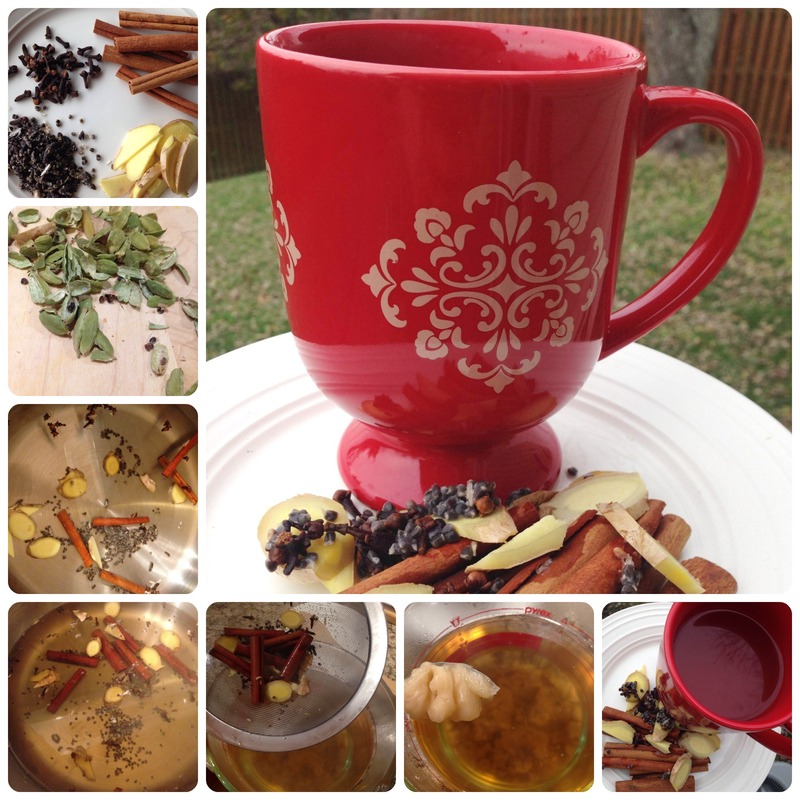 I had never made my own tea before, but this recipe is definitely a game changer, AND it was super EASY! 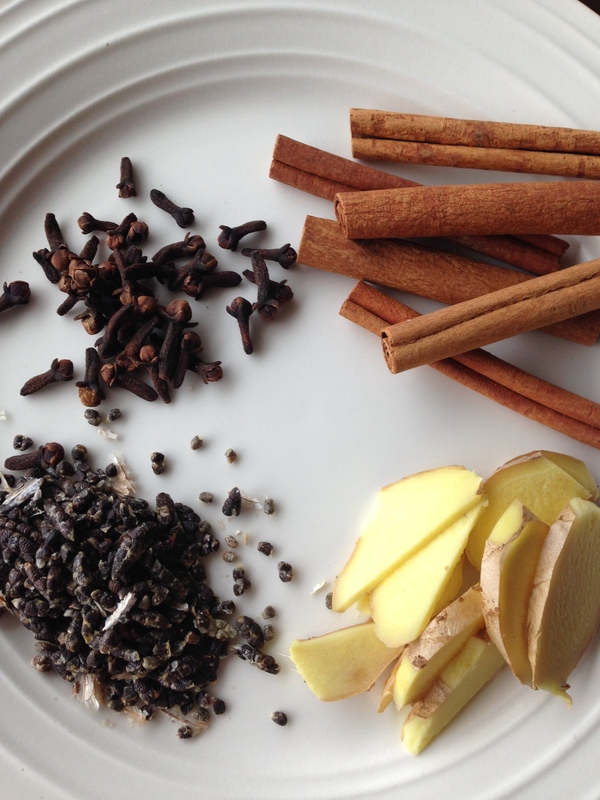 The spices in this recipe and the ginger are cleansing, healing, comforting, and warming to the body – perfect for this time of year! 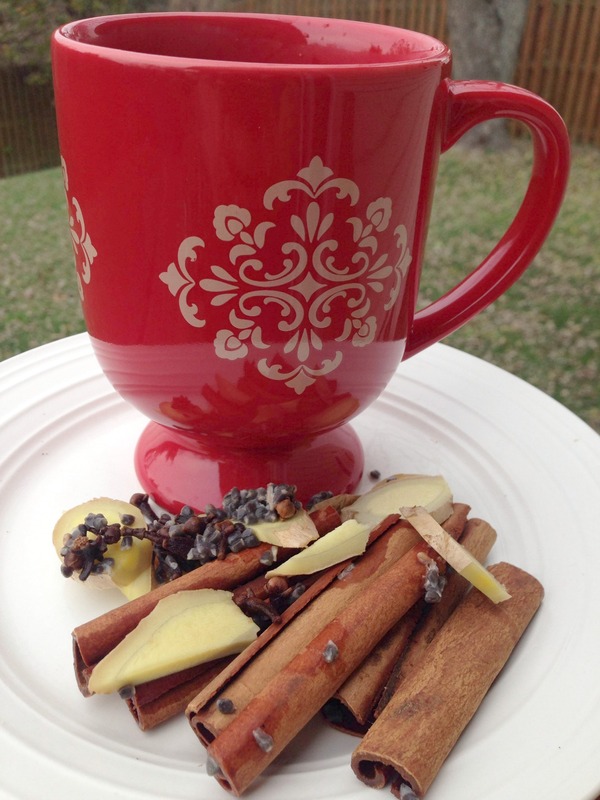 For more information about the incredible health benefits of the spices in this tea, click here. Cinnamon, ginger, cardamom, and cloves simmering on the stove smells AMAZING. It’s cheaper than buying tea by the box! If you’d like, you can also add in your favorite non-dairy milk, but I just drank it as is. Deeelicious! I’ve already made it twice in two weeks and will be serving it t0 everyone attending my cooking class tonight. 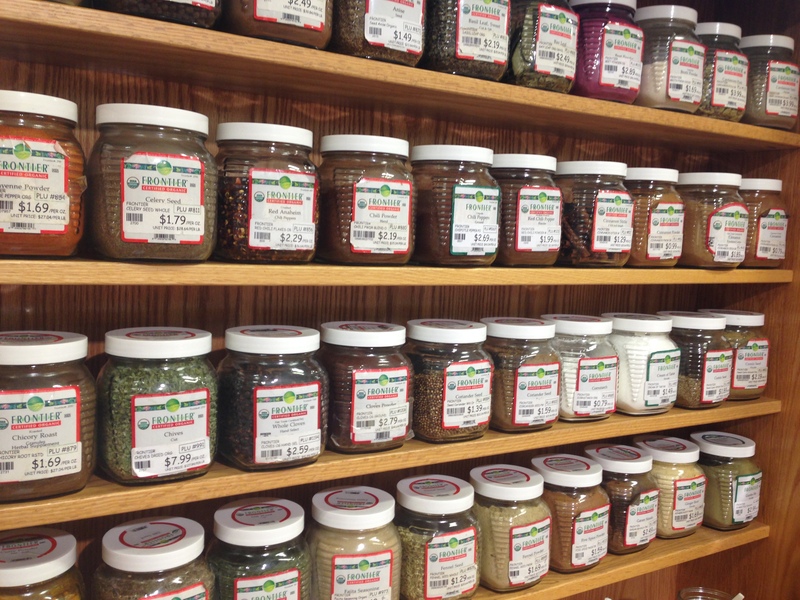 *Helpful Hint: I buy my spices in the individual jars at MOMs Organic Market; you can also find them at Roots Market and other natural food stores. It’s MUCH cheaper than buying an entire jar of something when you only need 1 or 2 tablespoons or a few sticks. You can also order spices online, but a natural food store near you should have fresh spices in bulk if your grocery store doesn’t. Can’t wait to try it tonight. Looking forward to coming!